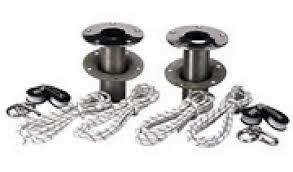 Easy flush mount installation ... just install supplied mounting "shoes" in deck and davits fit snuggly into the mounts. 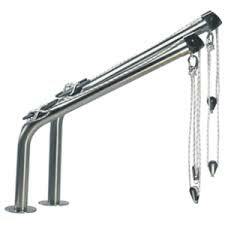 The davits can be pivoted or removed when not in use. 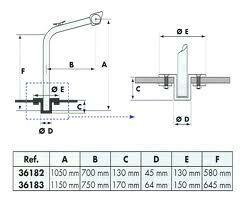 Supplied in pairs and include all necessary blocks and lines. Available in two sizes for loads up to 100kg or 160kg.